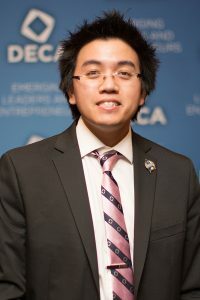 Nicholas Huynh is a technical co-chair for the B.E. A S.H.E.R.O. Foundation. Nicholas is a native of Las Vegas. He currently works in the slot gaming industry as an Associate Technology Engineer. He works with a team to conduct software quality assurance for various games before they are sent to a third party for certification. He also does freelance work for businesses and agencies providing website development and graphic design. Nicholas graduated from UNLV with a Bachelor degree in Computer Science and a minor in Global Entrepreneurship. While at UNLV, Nicholas served on the leadership team for DECA and was recognized by the Collegiate Nevada DECA Association as the Collegiate Student of the Year in 2016.Upon graduation, Nicholas continued his service through DECA. He has been serving as one of three advisors for the UNLV program. He is responsible for overseeing the training of new officers, providing logistical support to officer initiatives, representing the organization at various functions, and maintaining relations with community partners. Service is a large part of Nicholas’s life. He believes in sharing his talents with others who want to make a difference in the community. In addition to his position with DECA, he volunteers his time for a number of different agencies in town that serve people in need. Some of his volunteer positions include: AARP Tax Aide Counselor to help low income families and individuals with their taxes, president for East Career and Technical Academy’s Alumni Association, and graphic designer at both Asian Community Development Center and OCA Las Vegas. In his spare time, Nicholas enjoys playing tennis, Watching cooking shows like Master Chef, and listening to podcasts relating to software testing and leadership.